Background: Fire plays a central role in the ecology of Arizona’s Sky Islands, the regional mosaic of mountain ranges rising above the surrounding lowland deserts. Mid-elevation grasslands, woodlands, and forests of the Sky Islands developed over thousands of years under regimes of frequent fire. At the highest elevations, in wet mixed-conifer and spruce-fir forests, fire occurred less frequently (once every few centuries) but played an equally important role in regulating forest development. In lower elevation communities, such as the upland Sonoran desert, spreading fires were historically absent due to the lack of fine fuel to carry the flaming front. Each part of the Arizona landscape has a unique and long-established relationship to fire. In the past century, this relationship of fire and ecosystems has been altered or disrupted, largely by human activities on the landscape. Extensive sheep and cattle grazing in the late 1800s reduced grass cover and disturbed soils, eliminating the fine fuels that carry spreading fires. Active fire suppression became increasingly effective in the 1940s with the use of aircraft and mechanized firefighting and the dedication of increased financial resources for firefighting on a regional and national scale. These human influences were superimposed on a background of climate variation, which tends to create periods of varying fire activity. One visible result of the lack of fire is the dramatic increase in tree density in many forest types where fire historically kept forests more open. These dense forests constitute unusually high fuel loads that set the stage for the dramatic high-severity fires that have occurred in several Sky Islands in recent years. The need for action at landscape scales: Managers of public lands in Arizona recognize that these heavy fuel loads need to be reduced, and fire reintroduced as a natural process, to restore the ecological balance of the Sky Islands as well as to reduce the risk of catastrophic fires that threaten human safety and property. Fuel treatments and prescribed burning are among the main strategies used to achieve these objectives. However, the scale of treatments is often small -- often a few hundred acres per year – compared to the scale of the ecological problem, which affects entire mountain ranges. Small-scale treatments simply cannot keep up with the ongoing increases in fuels and the hazard of severe fires. Recognizing this dilemma, the need for landscape-scale strategies has recently become a central vision for restoring the ecological health of the Sky Islands, and indeed across the West. FireScape is our response to the need for landscape-scale fire and ecosystem management. 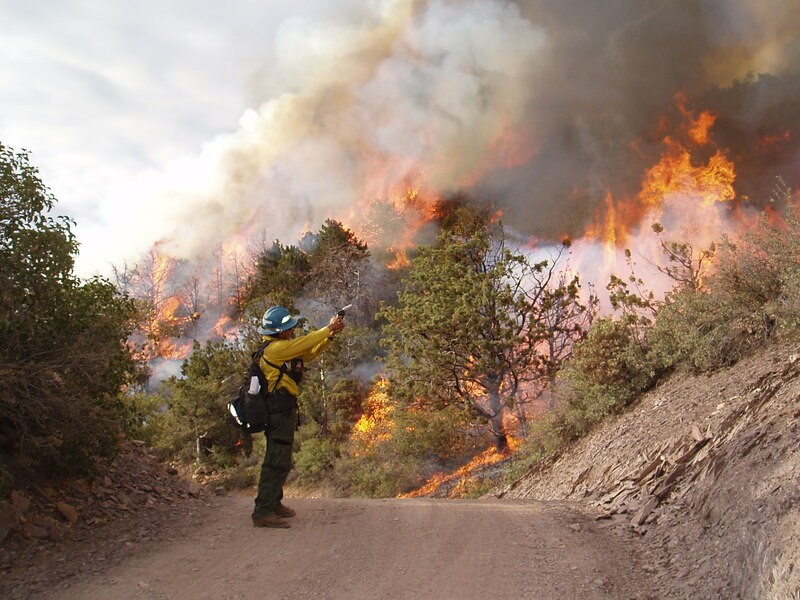 FireScape is a framework for expanding safe, ecologically sound, large-scale fire management across multiple land ownerships in the mountains of southeastern Arizona. The FireScape leadership team includes representatives from the Forest Service, The Nature Conservancy, the University of Arizona (UA), Bureau of Land Management, National Park Service, and other southeastern Arizona land managers. 3. The FireScape process helps to position land managing agencies to work at landscape scales by establishing legal authority to work at large scales while complying with applicable environmental laws. These elements of FireScape all support the ultimate mission, which is to restore the ecology of the Sky Islands to a dynamic and resilient state. No two projects are alike, but those underway share an approach that includes multiple jurisdictions, UA scientists at the table, assessing treatment need at the whole-mountain scale, and creatively removing implementation barriers. We have completed a fuels map and “departure” analysis for southeastern Arizona that covers the CNF and partner lands. Partners worked together to correct and update Landfire data for a 14 million-acre area. These products provide inputs for fire behavior and effects models to support decision making and outreach. The data used to create these products are available. Email azfirescape@cals.arizona.edu with your request. To learn more about specific Firescape projects click on a project area below.